A Special Offer for returning Military to Civilian Transition Package Customers! If you have previously purchased a Military to Civilian Transition Deluxe, Grand or Ultimate Package you have the option now of purchasing an additional Resume and Cover Letter Combination Package at any time during the discount period at this special reduced price. Our Professional Resume Writing Services are designed just for you! 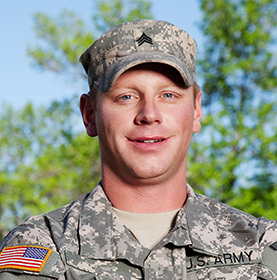 Transitioning from military service to the civilian sector requires a special effort. It automatically makes your needs different from the typical civilian individual seeking employment. That in mind, you need a professional resume and cover letter. This will enable you to convey your experience, knowledge, skills, talents, and achievements. These also showcase the qualities an organization wants from its professionals, such as your leadership skills and abilities, decisiveness, resourcefulness, and other key attributes and characteristics. This is why Sequence can set you apart. We have the expertise and know-how to translate your military experience into easily understood civilian terms. We convey your abilities and capabilities in terms that civilians are seeking. We understand that to find the kind of career opportunities you desire, your resume and cover letter needs to illuminate your accomplishments in a way that allows employers to relate to your skills within their industry sector. We will work closely with you all along the way to ensure that the resume and cover letter we produce for you meets your objective and is satisfaction guaranteed. This custom-made resume and cover letter designed to showcase your qualifications, strengths and highlights that will make you stand apart from the competition are priced exceptionally as a combination package at just $99.95. Don’t delay, order your Resume and Cover Letter Package today!